Uncategorized | Flight Crew Tax Preparation: with a flight crew and per diem specialist. Several of you have asked us about the Per Diem Max report that you can get for $39.99 if you use Crew Buddy. Per Diem Max calculates your unreimbursed per diem from your overnights, which is used as a deduction on your tax return. At AirlineTaxes.com we calculate your per diem as part of our service, at no extra charge. Pros: Crew Buddy keeps a record of your overnight locations, so even if you don’t pay for Per Diem Max through the app you can still use this information to put together your Flight Calendar. Con: Crew Buddy’s record of your overnight location is not always accurate. (Sometimes an incorrect leg of your trip is recorded as the overnight location. If you pay for the Per Diem Max service, you can manually change your overnight location.) Therefore, it is best for you to keep a record of your overnights on our Flight Calendar for accuracy. A printed copy of our Flight Calendar can be kept in your lanyard or in a file where you keep your printed payroll reports or trip sheets. Our Flight Calendar is available as part of the flight crew tax packet. 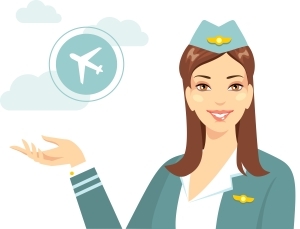 I’ve just written a guest post for I Heart Cabin Crew about tax tips for flight crew living abroad. Feel free to ask us any questions you may have about the article or anything flight crew tax related. You can email airlinetaxes@gmail.com or leave a comment.